A flat, sandy finish and raised shells in shades of tan and taupe against a speckled, cream base add a beachy feel to any space. 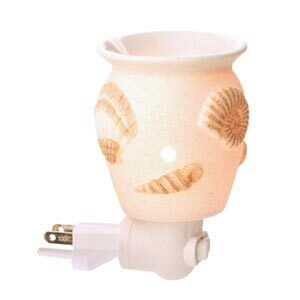 Scentsy Seashells warmer is a favorite amongst those with a beach like decor in their restrooms. Makes you feel like your at a beach resort.